Get Calling Scripts, Email Templates, Sales Tools, and More! SalesScripter is provided as a Software-as-a-Service monthly subscription per user per month. You will get access to a full library of sales scripts and tools while you are an active subscriber. You are free to cancel you subscription any time. 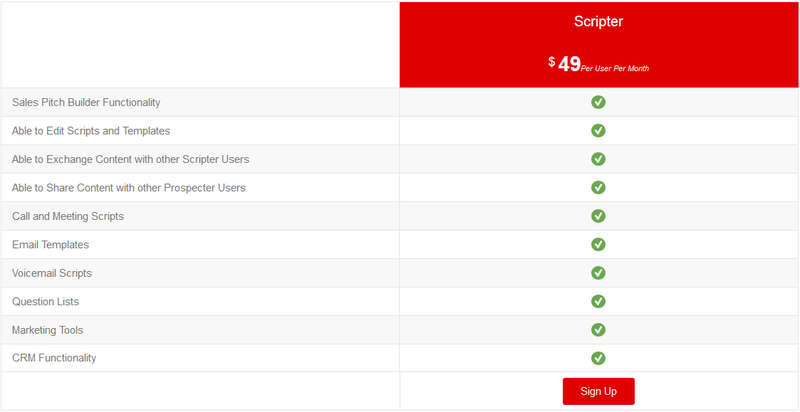 Sign up for a few days to get all your scripts and get out if you only want to pay the fee once. Many users keep their subscription open on an ongoing basis and one of the most frequent questions is around why someone would want to use the tool for more than one month. The answer to that is that once users get their info loaded up in the tool, it can often be a tool that they keep coming back to when prospecting well beyond getting the initial documents that they get from the system.